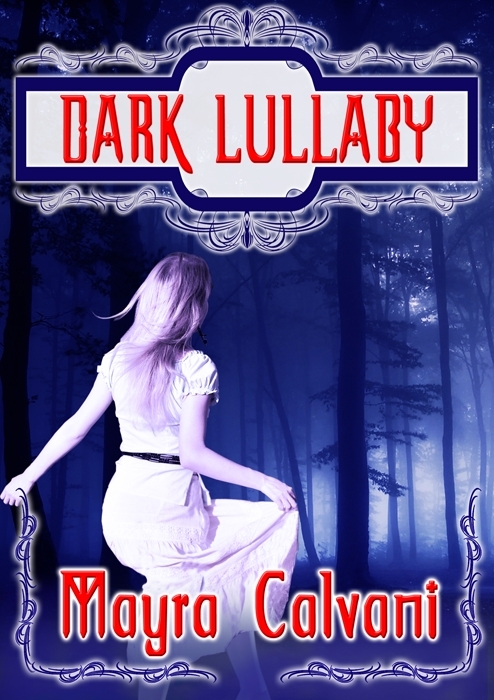 Dark Lullaby now on Kindle for only .99 cents! 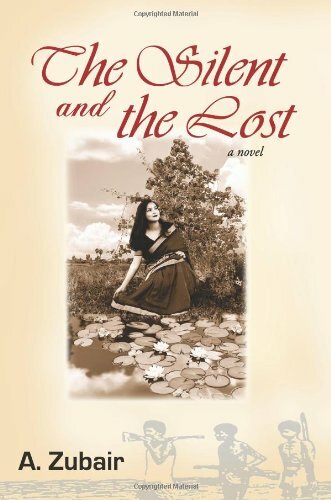 The Silent and the Lost is an interesting and educational novel about the war between East and West Pakistan in the 1970s. The story starts in Brentwood, California in 1997 at the beautiful wedding of Alex Salim McKensie & Sangeeta Rai, a couple deeply in love. Alex, our hero, was adopted at the age of four in Pakistan by an American couple and brought to the United States in 1972. A war baby haunted by the mystery of his identity, Alex decides to travel to Bangladesh to find out about his roots. The story moves back and forth in time, first reverting to 1971 to the heart of the revolution that eventually led to Bangladesh. When we first go back in time, we encounter a newlywed couple, Rafique and Nahar, happily walking the streets full of hope and dreams of freedom. Their dreams are soon shattered when Pakistani President General Yahya Khan starts Operation Searchlight and West Pakistani soldiers begin their horrific massacre of East Pakistani citizens in an attempt to crush their dreams of independence. But the East Pakistanis don’t give up easily and form guerrillas to fight the oppressors. To Nahar’s dismay, Rafique leaves her to join the guerrillas to fight for what he believes in. Nahar is torn between what she knows is the right thing to do and her love for her husband. I’m not a historian but the novel seems very well researched and Zubair gives a lot of attention to detail, not only to historical facts but also to the language, setting and description. He skillfully handles the graphic horrors of war without falling into unnecessary gore. The story combines love, war, peace, philosophy and spirituality. 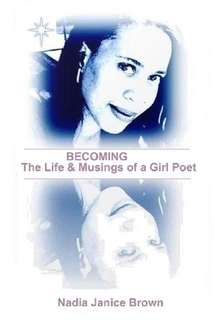 In a way, it reads like an epic and many a time the prose sparkles with clarity and vivid images. I didn’t know about this war so I found the book eye-opening and instructive. That said, it is a heavy read and the pace drags at times. 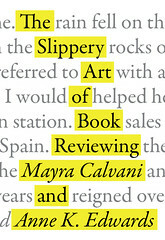 I think the prose could have profited from a harsher copy editor. There are recurrent redundancies and unnecessary details that slow down the progression of the plot. In spite of these flaws, however, The Silent and the Lost is a novel worth reading and one that historical fiction fans will find appealing and out of the ordinary. It is also one of those stories that stay with readers long after having read it, if only because it reminds us of the horrific events that have taken place in the past, and ones we all should be aware of. For several years, Aneeta Sundararaj has been helping writers through her website with countless articles, reviews and interviews. 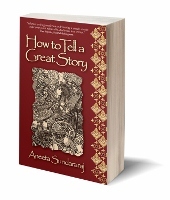 Now, she has compiled all her experience and expertise in her new book for beginner writers, How to Tell a Great Story. After a brief introduction, Sundararaj takes beginners through all the steps necessary to become a great storyteller, from vital preparation, to understanding themes, to the reasons for telling a great story, to painting your setting and much more. At the end of the book there are five appendixes: on planning and analyzing your research material, information for market research, character profiling, copyright issues for storytellers, and a sample storyline. Written in an engaging, yet thoughtful style, and combining quotes and written material from other authors, How to Tell a Great Story makes a helpful, information-laden reference book for any aspiring storyteller. What I really like about this book, though, is the new angle the author brings into it: the importance of storytelling not only for writing stories, but for other aspects of our lives. For example, knowing how to tell a great story can be helpful in the workplace if you work in marketing and publicity and must give a presentation. A story connects people in a way that a simple explanation or demonstration cannot. Sundararaj points out the importance of timing and intonation; in other words, often it isn’t just the story that’s vital but how you tell it. It is a talent some people are born with but it is also a skill that can be learned and improved. The same logic works for writing. You may have a great story idea, but how you write it and execute it is what counts. The author’s advice works for aspiring short stories writers, novelists, and anyone who would like to get better at storytelling for everyday use. Reading this book was informative and interesting and I look forward to more of Sundararaj’s work in the future. 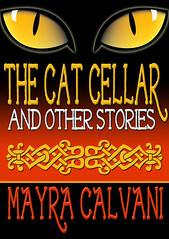 Halloween Special: Buy 1 ebook, get 2 free! 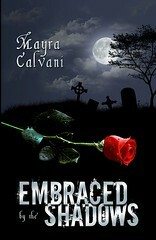 I’d like to announce the release of my paranormal suspense novel, EMBRACED BY THE SHADOWS, now available on Kindle for $2.99. In a bazaar in Istanbul one evening, ten-year-old Alana Piovanetti sees a man standing in the shadows. He smiles, and over time she convinces herself that it was just her imagination that placed sharp fangs amongst those flashing teeth. Twelve years later, Alana is surprised when she is chosen to manage a new restaurant opening in her home city of San Juan. She has neither training nor experience to justify her success. But La Cueva del Vampiro has the kind of ambience she adores, for Alana has always had a penchant for horror and the dark side of life. Yet she is also plagued with dreams of dark sensuality, dreams that take on shattering reality when she meets the stunningly handsome, charismatic Sadash. For Sadash is the man she saw in the shadows so many years before…and Sadash isn’t human…. 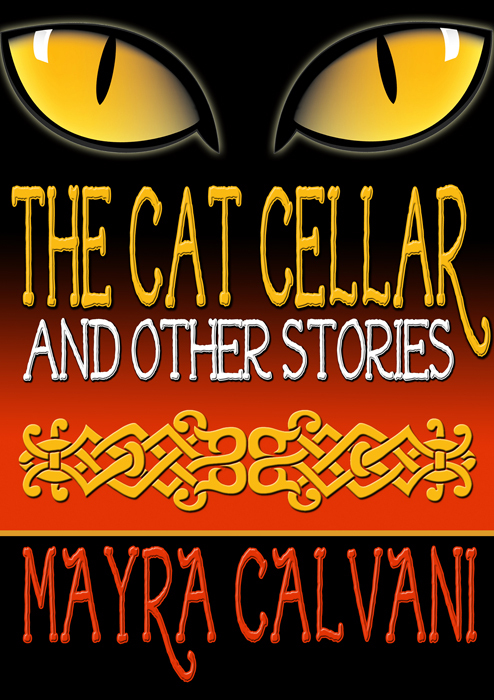 The story features a Latina protagonist and a Turkish vampire. I hope you’ll give it a try! To celebrate the release of my novel, I’m giving away two of my other books for free. This offer will run until Halloween night only. 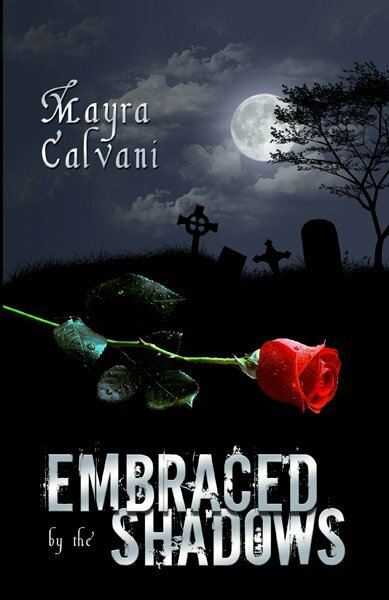 Of course, I hope you’ll consider supporting my work by purchasing a copy of Embraced by the Shadows, but if for whatever reason you decide not to, the two free ebooks are still yours to download. This is my Halloween gift to you! Enjoy! Happy reading and happy Halloween! 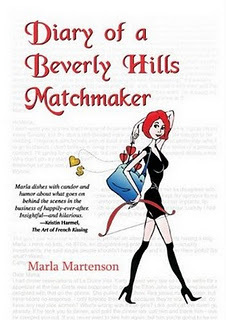 Have you ever wondered what it’s like to be the head matchmaker of a high-class Beverly Hills dating service? In this her candid and witty memoir, Marla Martenson takes you on a humorous ride through the ups and downs of her life working for such a place, as she struggles with the often unreasonable demands of her wealthy clientele. “I honestly had no idea how shallow, picky, selfish, and entitled some clients could be. After six years of feedback, demands, and expectations, I’m still thrown for a loop now and then,” says Martenson. But what can you do when her clients pay $40,000 and up to find the right woman? The author starts off by showing us what a regular day for her is like, answering annoying emails and trying to understand her clients’ often incredible and unreasonable requests, as they continually find faults with their gorgeous, perfect Barbie-doll dates. After this initial glimpse into her ‘regular day,’ Martenson goes back in time to recount how she got started, working at restaurant jobs and waiting on rude celebrities such as Joan Collins, who once barked at her for forgetting a fork. “For all my work, she left me a $2 tip on a $120 tab. The woman was clearly typecast as Alexis, right?” says the author. She also talks about her dreams of becoming an actress, her marriage, divorce and remarriage to the perfect guy, her father’s death and, finally, taking charge of her life. Eventually all fell into place and she started earning good money making commercials and getting small parts in films and print modeling work. She even got a couple of lines in the Mel Gibson film, What Women Want. Then, finally, how she got started as a recruiter for the dating service, on the lookout for what she calls “a fresh supply of goddesses” and her life as an author—a calling she never suspected she had. The book is full of interesting anecdotes about Martenson’s work in Hollywood with the stars. The writing is simple, straight forward, witty and honest. This is the perfect fun, beach read. I like the author’s satiric slant on beauty and the mystery of dating and relationships, as well as the shallowness of Hollywood and the pressure put on women to look good. The book, though a light read, makes you think about society and the role of women and men in it, and explores interesting issues of gender. Martenson is the author of two best selling relationship books: Excuse Me, Your Soul Mate Is Waiting and Good Date, Bad Date.